The first in our series of articles all about archery introduces you to the history behind the sport, where did it start and why? We take you through what archery can do for you, how it has featured in mythology and religion throughout the ages and how it looks in its many different guises today. Let’s start with a basic definition just so that we are clear on what we are talking about. ​Archery is the skill of using a bow to propel arrows, it is defined in the Oxford Living Dictionaries as a noun meaning “shooting with a bow and arrows, especially at a target as a sport”. The origin of the word Archery (in English) is latterly from the Old French word “archier” and originally from the Latin word “arcus” (meaning bow). Archery is practised today in many forms and using many types of bow. ​There are recreational archers, disciplined martial artists, world championship and Olympic level competitions, record breaking distance attempts, some still use archery for hunting game (bow hunting) and even fish (bow fishing), but archery is rarely used for defence any more, except well… ‘sort of’ in leisure pursuits such archery tag. Our next articles in this series outline the types of modern day archery, and the types of bow used in all modern disciplines. The earliest form of archery was undoubtedly the use of a simple one-piece traditional bow to hunt for food, a skill still practiced to this day by bow hunters and bow fishers. Evidence of the practise of archery has been found throughout the world but the who was first to create the bow and arrow isn’t crystal clear. According to Wikipedia, the earliest signs of arrow use found to date are from the Stellmoor, Ahrensburg valley, Germany, (Europe). Stellmoor was a seasonal settlement dating back to around 10,000-9,000 BC where the bones from 650 reindeer were found along with well preserved arrow shafts. The arrows were pine and consisted of a shaft and a flint point and crucially they were found with a shallow groove in the base of the shaft (a nock!). People have discovered pointed shafts and points flints dated previous to this, but there is no concrete understanding of whether these were just spears thrown by hand or not. No bows were found at Stellmoor. ​The oldest bows are from a bog in Holmegård swamp in Denmark. The Holmegård is a municipality that no longer exists (as of 2007) because it’s been merged with existing municipalities to form the new Næstved municipality. The bows found in the bog were a series of self bows (a self bow is a bow made from a single piece of wood) and were dated back to around 20,000-9,500 BC. 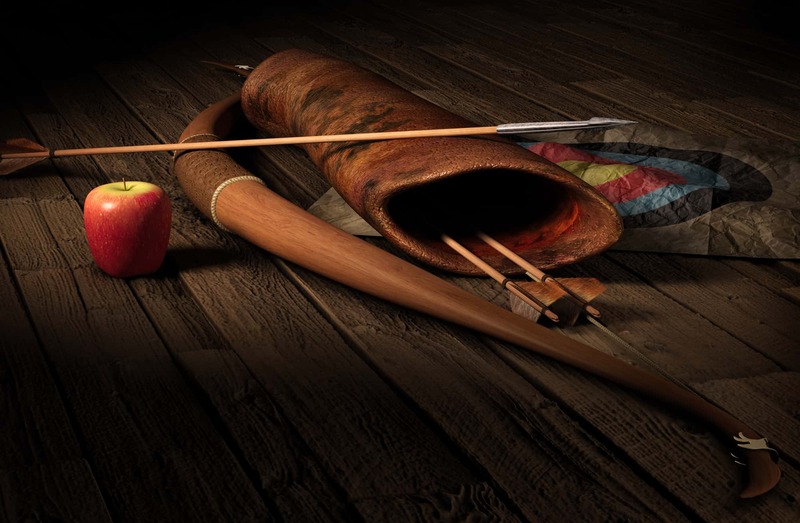 The first bows ever used were made of wood and had wooden or stone (flint) arrowheads, as the bronze age arrived (3,300 BC) this changed the makeup of the arrow to bronze which could be sharpened and shaped more easily. ​In 1,200 BC the dawn of the Iron age allowed arrowheads made from Iron, which is harder than bronze and allows for armor penetration and a more deadlier shot. ​Archery was used for hunting food throughout history but by many classical civilizations in war, the Assyrian, Greek, Armenian, Persian, Parthians, Indian, Korean, Chinese and Japanese all these used archers in their armies and the introduction of horses into armies gave us the mounted archer. After the development of the firearm in the steel age, bows were rendered obsolete and their use declined until the eighteenth century when archery started to experience a revival as a sport with recreational societies being set-up and several large tournaments being held. ​Upper body strength is gained from drawing the bowstring, this action involves your back, chest, shoulders, arms and hands, stabilizing core muscles and leg muscles for balance. Hand-Eye Co-ordination is practiced in the routine of standing correctly, nocking an arrow, drawing the bow, setting up your shot, and releasing the arrow with good form. Focus in order to achieve a good shot the aim must be precise, must account for all variables such as wind, distance, power and in order to achieve exactly what is required to perform a good shot archers are required to focus on the target and their technique by tuning out all other distractions. 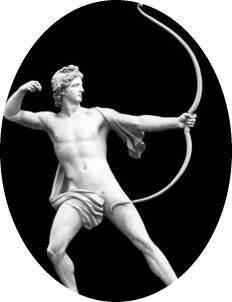 ​Exercise the act of drawing a bow can burn upto as many calories as walking at a brisk pace. Relaxation the act of seeing your arrow fly through the air and hit the target is a very satisfying and relaxing experience. Confidence and self-esteem can be gained from success in competitive archery. 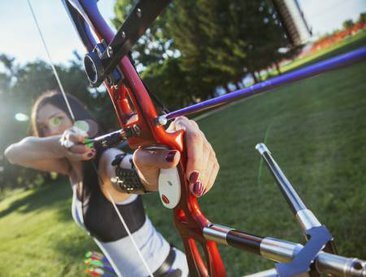 ​It’s upto you exactly how you approach starting out, but the best first suggestion is to seek out your local archery club or archery range. Just google ‘archery club near me’ or ‘archery range near me’ and you’ll find somewhere you can start your journey. Alternatively Team USA offers a ‘Find a Club’ service http://www.teamusa.org/usa-archery/clubs/find-a-club﻿﻿ and similar services exist in the UK http://www.archerygb.org/support/clubs/ and for other nationalities. Of course if you’re more remote and you don’t have a local club handy, maybe you are somewhere remote and want to shoot targets in your backyard… then read through our guides where we will attempt to tell you everything you need to know in order to select the best bow, it’s draw weight and size, and how to shoot it with good form and technique!